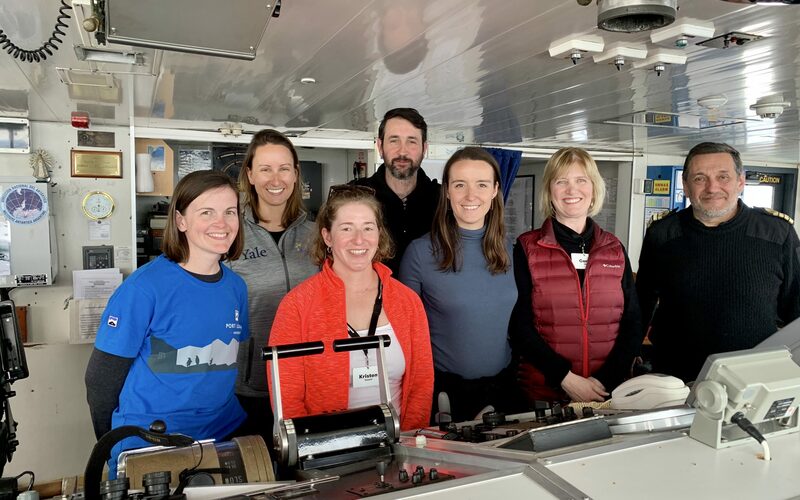 After a night of 12-metre high waves, a 32-foot list and 70-knot winds we made it across the Drake Passage and into the Beagle Strait. Those of us standing upright (i.e. not seasick) were lucky enough to witness this spectacle from the bridge of the MV Ushuaia. After calmer weather prevailed, a visit to the engine room was a welcome treat. The #TeamHB3 engineers met the crew (yes, the crew includes women), and were guided throughout various mechanical areas. 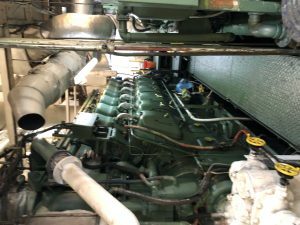 This included three diesel engines, desalination system, 2 boilers, 3 generators, and drive shaft. After the tour, the engineers were led up to the bridge for a personal chat with a fellow engineer, Captain Sergio Javier Osiroff. We engaged in a lively discussion of our shared backgrounds and potential collaboration. Despite language barriers, the shared passion for equality in the engineering field was instantly apparent.